The Boca Grande Fire Department and Lee County EMS were on the scene at several calls this week, including a man who was injured while swimming on the beach and watercraft in distress. On Friday, April 5 at approximately 5:19 p.m. the department was called to the Boca Grande Causeway, where “unusual behavior/person jumping” was reported. It turns out someone’s vehicle was broken down and the person exited their vehicle to call for assistance. On Saturday, April 6 the department were called out to a watercraft in distress at 3:37 p.m. It turned out that the call was unfounded. They were called out a second time at about 10:53 a.m. on Sunday, April 7 for the same boat. They did not have to complete the response as it was the same boat as the day before. On Saturday, April 6 fire and EMS responded to a call of an injured swimmer at 1st Street and Gulf Boulevard, at the Boca Bay Beach Club. The patient was breathing and conscious at the time of their arrival and was lifeflighted to a local trauma center. The fire department also responded to numerous fire alarm calls (no fires) on Gilchrist Avenue and on Banyan Street. They also had ambulance calls at locations including Sheepshank Court, Fugates, at the Boca Grande Health Clinic, Palm Avenue, The Gasparilla Inn and Buttonwood Bay Drive. They also conducted a citizen assist on 40th Street. 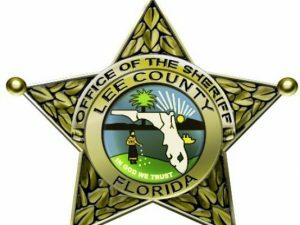 In Lee County Sheriff’s Office activity, deputies responded to a call of a grand theft on Jean Lafitte Drive on Thursday, April 4. According to reports, the complainant stated that two fishing poles kept in his garage had their reels removed. They are Shimano reels, a TLD 30 and a Calcutta Inshore, with a combined value of $750. Reports indicate a suspect was named, Sarasota County Sheriff’s Office followed up on the suspect and found that the reels had been pawned by the suspect at a shop in Sarasota. The investigation continues.